Uglyworld #2145 - Rights Timering - (Project Cinko Time - Image 342-365), a photo by www.bazpics.com on Flickr. Baz loves to uses the phrases "Does it says that you can does that on the tins, if it does then it's okays". 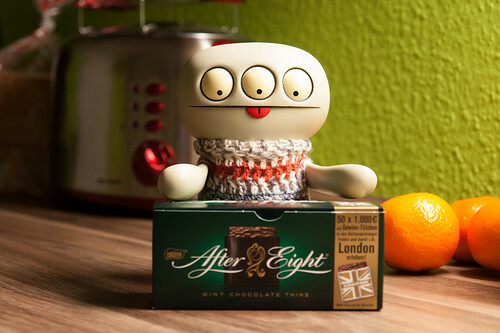 With thats very thought in minds, his logics must meaners that it's okays for me tucks right into the boxer of after eights, as it's almosts midnighters here!